It’s no secret that Samsung has a new flagship flip phone in the pipeline. The SM-W2018 is the successor to last year’s SM-W2017. Countless images of the handset have already been leaked online. There’s a leaked SM-W2018 hands-on video making the rounds online now. It certainly won’t be surprising when Samsung officially unveils this handset. It won’t be long until Samsung does that. 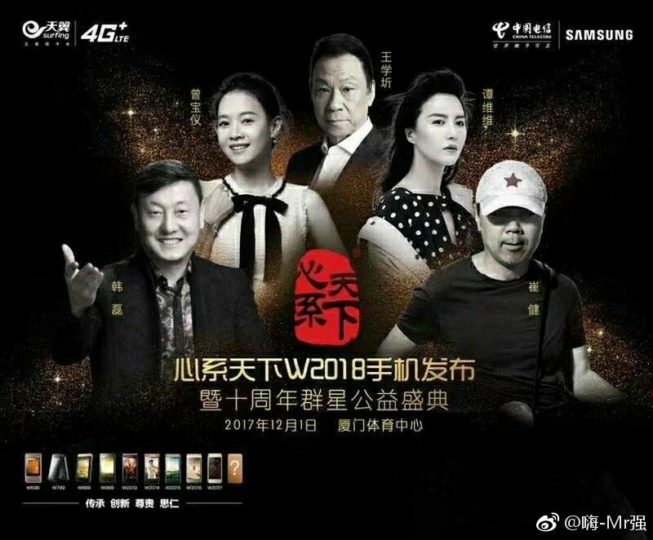 Samsung China has revealed that the SM-W2018 flip phone is going to be unveiled on December 1. We compared leaked images of the SM-W2018 with its predecessor recently. Our observation is that the new handset exhibits finesse. Samsung has polished the design of its flagship flip phone and added respectable specifications. The leaked SM-W2018 hands-on video also shows that the metal and glass build of this handset looks really nice. The industrial look and feel that Samsung was apparently shooting for has turned out very nicely indeed. As far as the specs go, it’s going to feature a Snapdragon 835 processor with 6GB RAM. There will be 64GB of internal storage and a 2,300mAh battery. It features a 12-megapixel rear and 5-megapixel front camera. The handset also features two 4.2-inch Full HD displays. Samsung is going to unveil the SM-W2018 in China on December 1. No word on the price as yet. Reports suggest it might cost around $2,000.